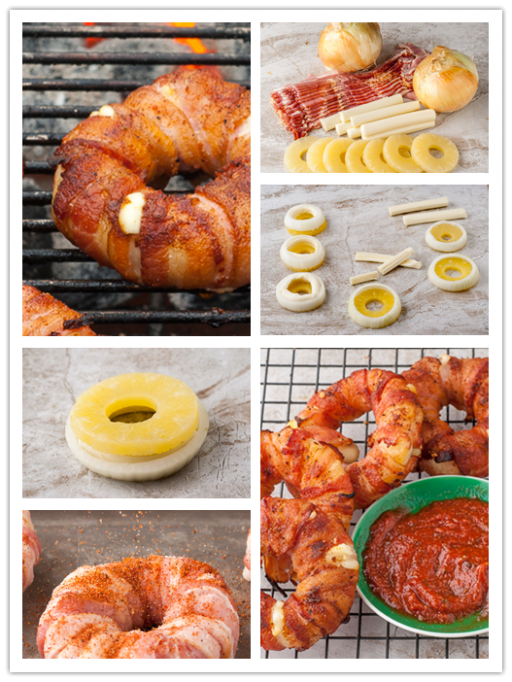 When I first saw these bacon wrapped pineapple mozzarella rings, I thought they were really donuts. What a surprise! However, that is just the surprise to our eyes. When you bite the “donuts” rings, the combined rich taste of bacon, mozzarella, onion, and juicy pineapple is going to give the next surprise to your mouth! Slap Yo Daddy did a terrific job coming up with this creative bacon donuts recipe. Still wondering what to eat for the next meal? Grab this recipe now and give it a try!